Kim and I were able to experience the Holy Land in May 2018. We stayed in Jerusalem for about four days, and on our last day, a small group of us who took off into Jerusalem for a couple of hours to walk through Hezekiah’s Tunnel, from the Gihon Spring to the Pool of Siloam. I found this video that helps you see what it was like. 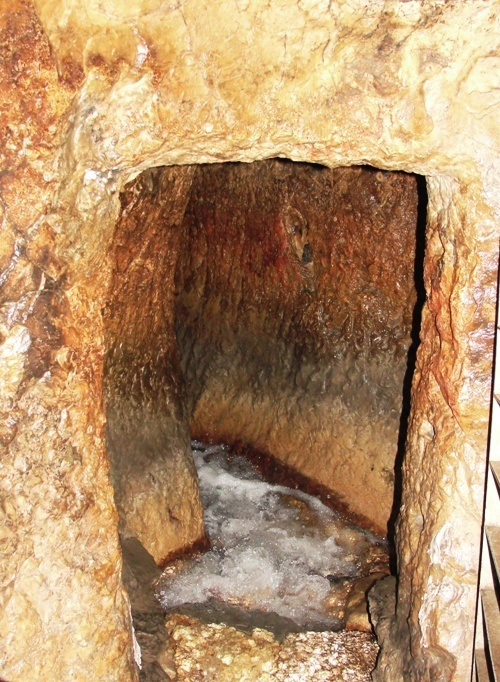 Hezekiah’s Tunnel was cut through bedrock in 701 BC under the City of David, curving and weaving for 1750 feet. If the same tunnel were cut in a straight line, it would be 40% shorter at only 1070 feet. 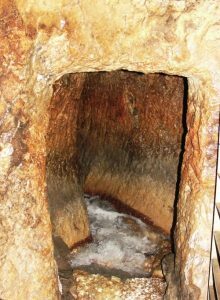 This tunnel was cut to bring water from the Gihon Springs in the Kidron Valley (on the east outside the city’s walls) through the bedrock and into Hezekiah’s city of Jerusalem (at the Pool of Siloam).